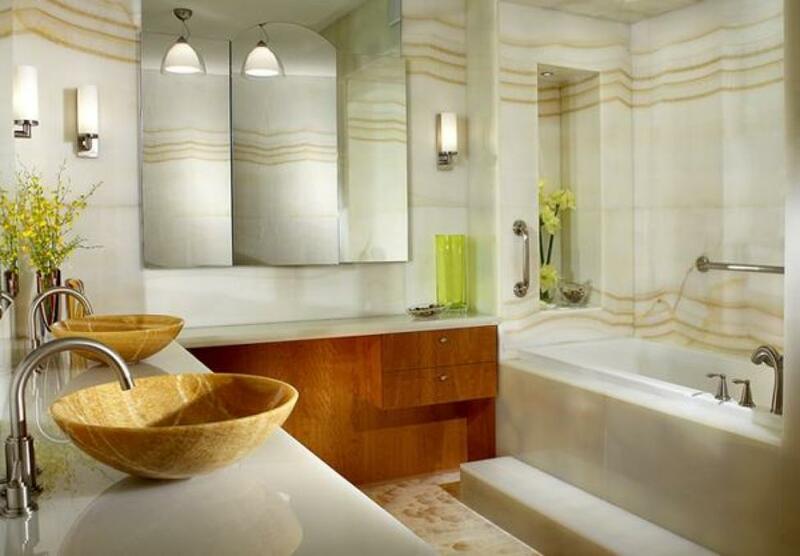 Planning on remodeling or redecorating your bathroom? Of course, you have thought of the basics, such as which style you want and which paint colors you like. However, some often overlooked additions can make or break your bathroom’s look and feel. Items, such as shower curtain hooks and vanities, are key components in your bathroom’s overall appearance and can add an extra punch of style to your room. Add a touch of personality and flair by choosing details, such as shower curtain liners and hooks that reflect your individual taste. For example, if you love a relaxing, beach-type feel to your bath, choose a liner with a seashell or tropical fish motif. There are many materials and prints available to suit your style. Shower curtain clips and hooks also come in all shapes and sizes and can coordinate with any look you choose. Adding one of the many styles of mirrored vanities available is another way to complete your bathroom’s decor. These pieces are designed to provide both function and beauty to your room and are available in single or double-sink styles. Choose a piece that can coordinate with many different accessories, and you can easily change the look of your room by switching towel colors or decorative accents. By keeping your focus on these types of details, you are sure to see your room come together perfectly. Redecorating your bathroom offers you a chance to create a relaxing oasis for you and your guests. Do not forget to add the extra details that let your personality shine through and can make your room look and feel complete.